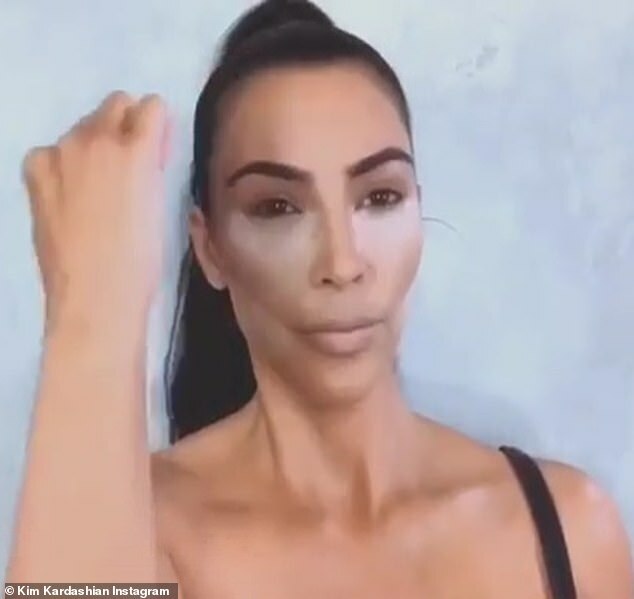 Kim Kardashian proved she is keeping her sense of humor as she struggles to get rid of a red rash on her face and body. 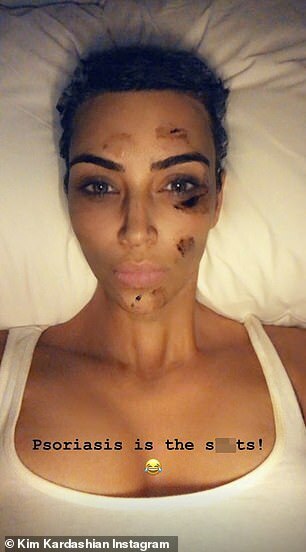 The 38-year-old joked around while sharing a selfie on Monday that showed her face smeared in brown goop. 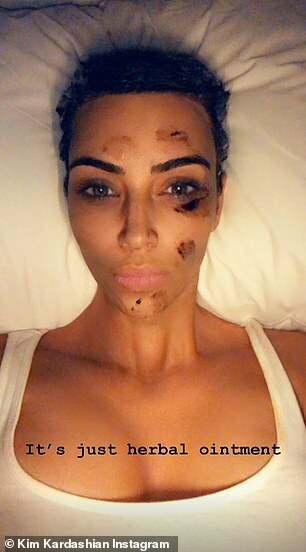 The wife of Kanye West has been trying all sorts of treatments to heal a new outbreak of psoriasis on her face and body. 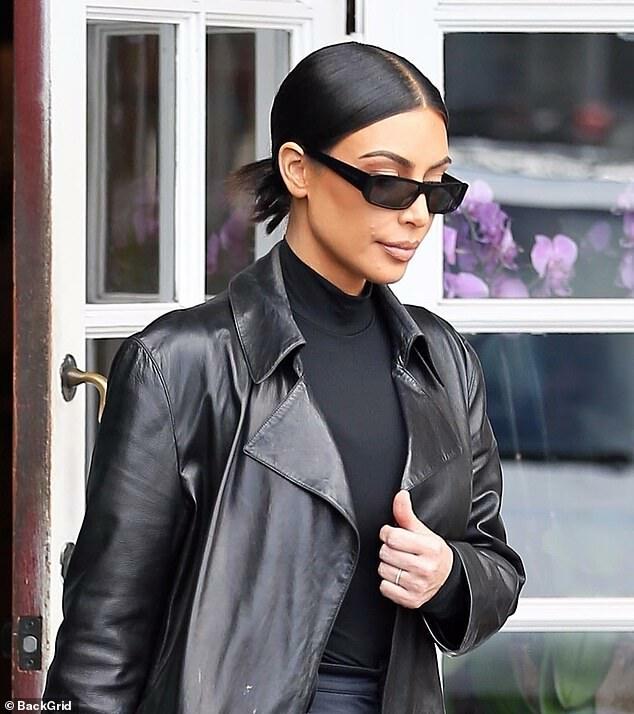 She was first spotted with the rash as she stepped out for lunch with Scott Disick in Los Angeles last week. The TV star had on heavy makeup to cover up the bumps, but it didn’t work too well. 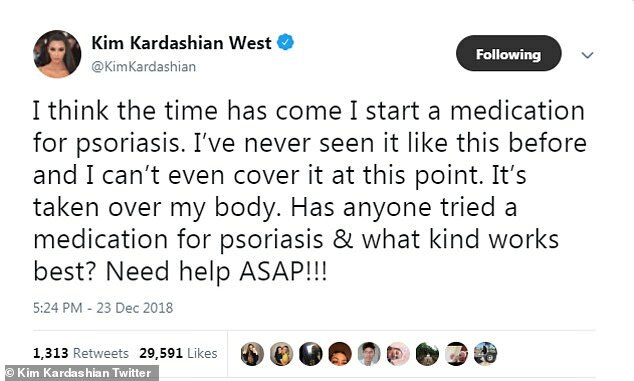 Kim quickly took to social media to explain that her bad skin day was actually psoriasis, which she has been suffering from for years. ‘It’s psoriasis all over my face,’ she responded with a crying emoji on Twitter to a DailyMail.com story. 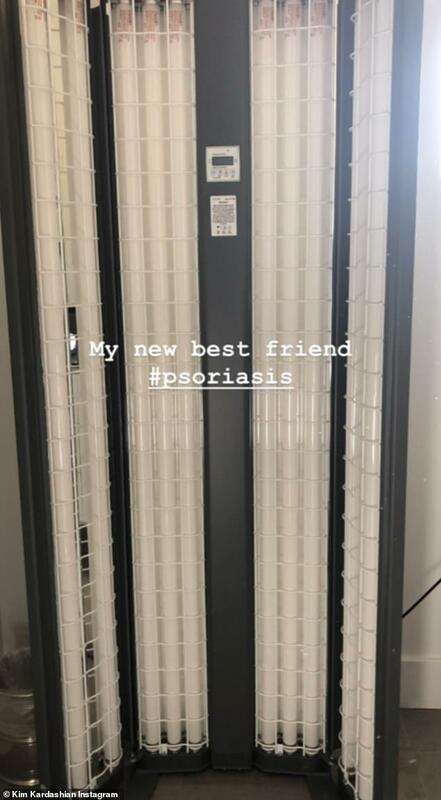 And this weekend she took to her Instagram Stories to share a potential remedy for the skin condition with her fans. 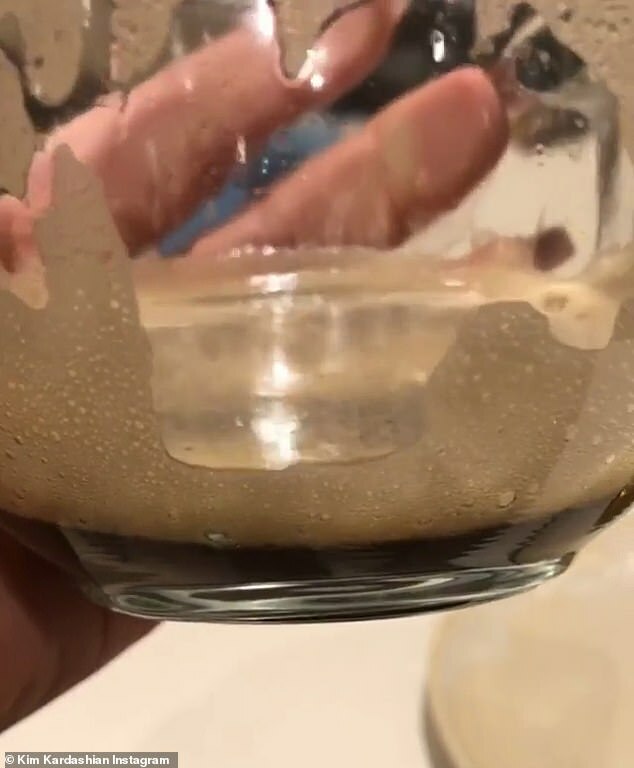 ‘I am super desperate with my psoriasis [and so I] went to a Chinese herbalist,’ said the 38-year-old while showing a bowl of dark, frothy liquid. ‘I have my own mixture,’ said the reality TV star of the concoction. ‘I have to drink it twice a day and it is so nasty,’ said the mother-of-three, before showing what appeared to be a bottle of apple cider vinegar and saying that she would ‘chase it with this’. ‘Hopefully this works,’ concluded Kim. ‘I’ll see in six weeks’. According to webmd, psoriasis is a skin condition that causes a ‘thick, patchy, red rash with silvery, white scales.’ The most common type is called plaque psoriasis. It can affect any part of the body or face, but it shows up most often on the scalp, elbows, knees, and lower back. It is not contagious. Kids can get psoriasis, but it’s more common in adults.